Emily practices corporate and commercial litigation and arbitration with a focus on restructuring and corporate bankruptcy and insolvency law., Emily also has significant experience in both domestic and internal arbitrations in relation to disputes arising from oil sands joint ventures and other complex commercial arrangements. She has appeared before all levels of Court in Alberta, the British Columbia Supreme Court, and several administrative tribunals. 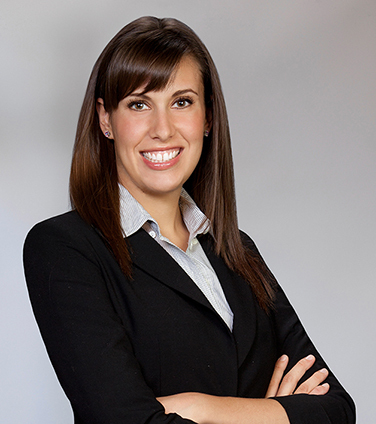 Emily is a contributing author to the LexisNexis Practice Advisor Canada Insolvency & Restructuring module. An international oil and gas exploration and production company in a complex, multi-billion dollar international arbitration dispute regarding an oil sands joint venture. A Canadian-based international oilﬁeld services company in an ad hoc arbitration proceeding under the Alberta International Commercial Arbitration Act against an international oil and gas company arising from an oilﬁeld services contract. An international EPC provider in a domestic arbitration related to construction of an oil sands project. Laricina Energy in connection with its restructuring under the CCAA. Parallel Energy Trust in connection with its restructuring under the CCAA. Nordic Trustee in connection with the restructuring of the Sanjel group of companies under the CCAA. Secured lenders and other creditors and interest holders in the receiverships of Sekur Energy, Spyglass Resources and Exall Energy and in the CCAA restructurings of Verity Energy and Endurance Energy. A private Canadian oil sands development and production company in a dissent shareholder litigation to fix the fair value of the company's shares. National Insolvency Review, “Joint Operations and Insolvent Operators: Change of Operatorship During a Recievership”, (2018) Nat. Insol. Review, Vol. 35, No. 4, August 2018. “The Effects of Various Insolvency Proceedings on Joint Operating Interests in the Alberta Energy Industry, Annual Review of Insolvency Law 2016 (Toronto: Thomson Reuters, 2016) (co-author). “Implications of the Redwater Decision : Where Does the Buck Stop?, Banking & Finance Law Review/Revue de droit bancaire et de finance, Volume 32 no. 1 (November 2016) (co-author).